How to check version of StoryServer locally on your computer vs. on-line available to download. Check for updates will check on-line servers for new updates. Auto-Updates - after news is updated. 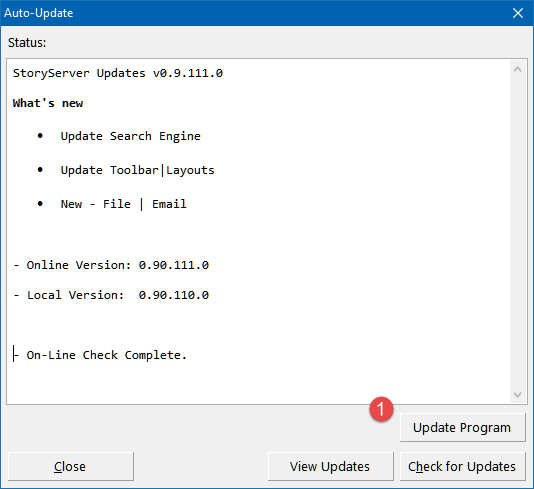 After clicking or touching Check for updates, StoryServer will download update news. 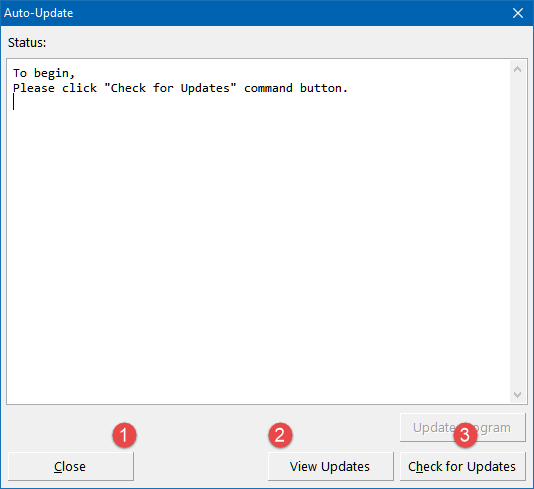 The Update Program button is enabled. Copy contents of this message-box to clipboard. Close the application and update itself (See: Installation).